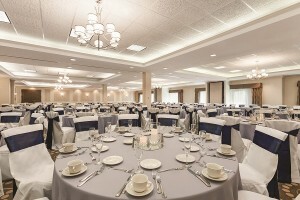 Our 187 room hotel and event venue located just outside of the beautiful city of Burlington. 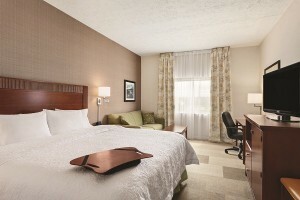 Our hotel offers modern amenities and complimentary Wi-Fi throughout the hotel and in our guestrooms. The hotel is within a reasonable drive to exciting attractions such as Lake Champlain, the Ben and Jerry’s Factory, Shelburne Museum, Vermont Teddy Bear Factory and Echo Leahy Center for Lake Champlain, just to name a few! Before our guests embark on their exciting day of sightseeing and touring they will start with our complimentary Hampton Hot Breakfast Buffet featuring a make-your-own waffle station. Upon returning to the hotel guests can enjoy a fantastic meal in our Event Center or at the on-site Lighthouse Restaurant and Lounge. The heated indoor saltwater pool and new fitness center are a great place to relax or workout. 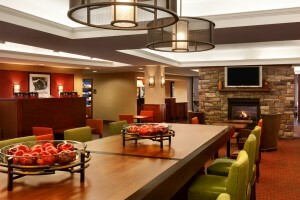 Warm cookies and milk are served in our spacious lobby at 6:30 pm nightly. 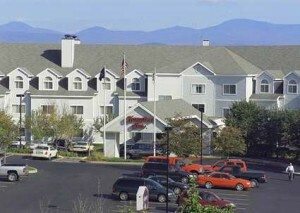 Complimentary bus parking and strong attention to detail make the Hampton Inn and Vermont Event Center the only hotel to consider for your next tour in Northern Vermont. 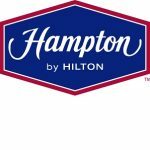 When planning your next tour to the Burlington area, the Hampton Inn and Vermont Event Center is the hotel that is large enough to meet your needs, yet small enough to remember them.